Congratulations go to all participants, organisers and officials for a very successful series. 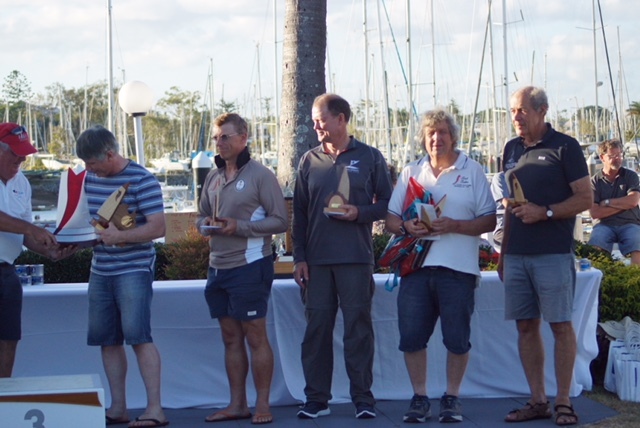 Congratulations especially to our new champion, Alan Riley of McCrae Yacht Club, who lead the field home in all accept one race. He showed strong boat skills and speed in the ten to thirteen knot Moreton Bay sea breezes. Alan paid compliments to his fellow McCrae sailor, Murray O'Brien, who with a string of seconds, was overall runner up. Alan and Murray had a very strong build up by finishing neck and neck in their club races. 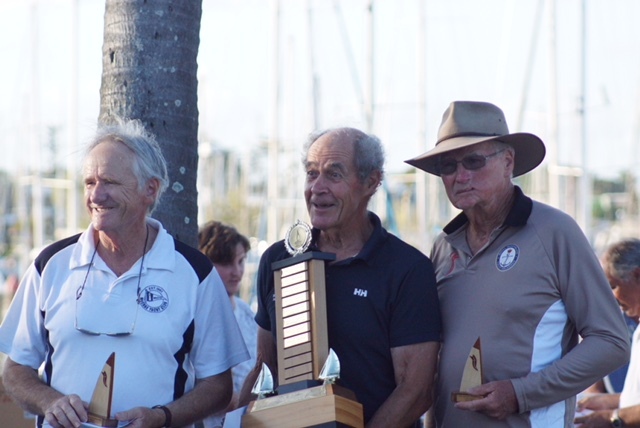 Tony Carr represented the WA fleet well in taking out third place overall by securing a first, two seconds and two thirds. 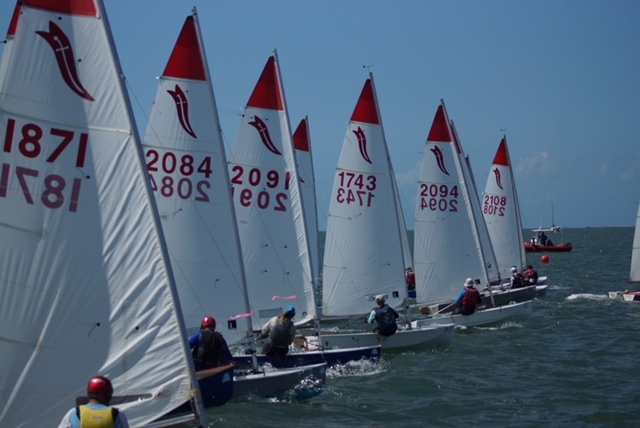 Then came the two VIC Black Rock boats sailed by Steve Douglas in fourth and Bruce Abbott, representing the older sailors in fifth. Both sailed boats professionally built by Steve who also made his own sail. Ryan Kelly (SA) put his foot on the pedal to come in 6th, ahead of his good friend, Tasmanian Chris Kiel, with Peter Ellis (VIC) next. There was an interesting shoot out between the two junior (under eighteen years) sailors, Liam O'Brien (ninth) who edged out Lucas Upton (10th), particularly on the last day. Lauren Kiel (SA) showed her sailing skills to take out the Ladies Division. Our thanks go to competitors, organisers and officials for a great series sailed in the usual hard and fair Sabre manner. Ryan Kelly gave a presentation of what will be a very enjoyable series in January 2020 in the seaside town of Wallaroo, SA and we urge all Sabre sailors to come and join in the fun.